Repair and re-shape lawn edges. It’s a good time to re-establish the shape of your lawn. 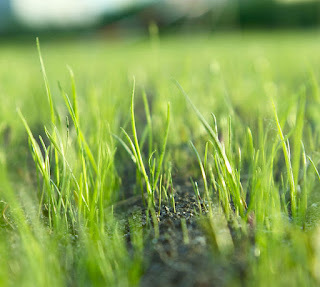 Take a note of any areas where herbaceous plants are starting to encroach and reshape the lawn accordingly. If the lawn cannot be re-aligned then move the offending plant. Give the grass a treatment of Iron Sulphate to treat any moss and to green up the sward. If wormcasts are a problem then there are worm-friendly treatments out there that can help. Get in touch if you need any more information. Rake up the last of any leaves and twigs that have settled on the lawn. Your grass won’t enjoy having a blanket of leaves on it all winter. If conditions have been mild you could perhaps give the grass a pass of the mower to cut the grass and collect any leaves.